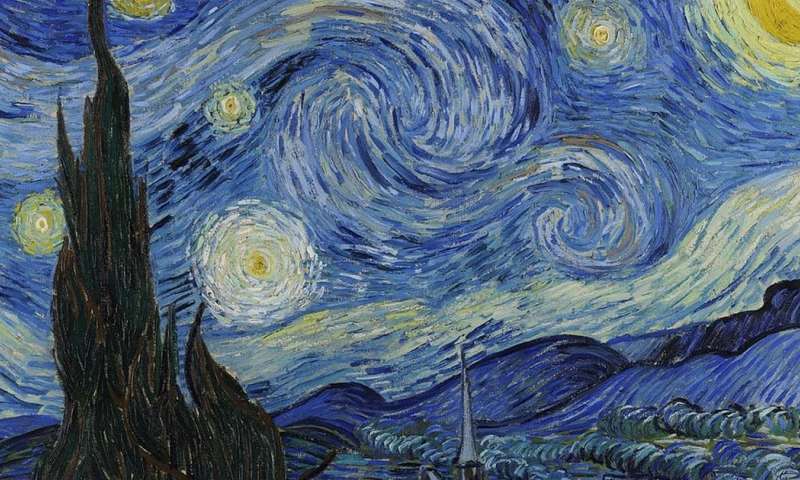 Whether you get mesmerised by Vincent van Gogh's painting The Starry Night or Albert Einstein's theories about spacetime, you'll probably agree that both pieces of work are products of mindblowing creativity. Imagination is what propels us forward as a species – it expands our worlds and brings us new ideas, inventions and discoveries. But why do we seem to differ so dramatically in our ability to imagine? And can you train yourself to become more imaginative? Science has come up with some answers, based on three different but interlinked types of imagination. "Creative imagination" is what we normally consider to be creativity with a large C – composing an opera or discovering something groundbreaking. This is different from everyday creativity, such as coming up with imaginative solutions to household problems or making crafts. But is it possible? We know that some individuals have a more creative personality than others. Yet research has suggested that creative imagination can also be boosted through our environment or simply putting in lots of hard work. For example, experimental studies have shown that when children engage with creative content or watch others be highly creative, they become more creative themselves. There are two phases to creative imagination. "Divergent thinking" is the ability to think of a wide variety of ideas, all somehow connected to a main problem or topic. It tends to be supported by intuitive thinking, which is fast and automatic. You then need "convergent thinking" to help you evaluate the ideas for usefulness within the main problem or topic. This process is supported by analytical thinking – which is slow and deliberate – allowing us to select the right idea. So if you want to write that masterpiece, having lots of brainstorming sessions with friends or taking a course in creative thinking or writing may help you come up with new ideas. However, that doesn't necessarily help you select a good one. For that, research suggests that the first requirement is actually exposure and experience. The longer you have worked and thought in a field and learned about a matter – and importantly, dared to make many mistakes – the better you are at intuitively coming up with ideas and analytically selecting the right one. Creative success is therefore not so much about finding a muse. As microbiologist Louis Pasteur said: "Fortune favours the prepared mind." This also applies to art, with Pablo Picasso advising: "Learn the rules like a pro, so you can break them like an artist." For many people, the ability to become completely absorbed by an idea is key to finalising a successful, creative project. For that you need something scientists call "fantastical imagination", probably best predicted by your fantasy proneness and imaginative immersion. These describe your tendency to have highly vivid and realistic fantasies and level of absorption in imaginary worlds. However, given that fantastical imagination can increase daydreaming and distract from everyday obligations, it may not seem like a desirable ability to have, at first glance. There's even a dark side – one's fantastical imagination tends to increase as a response to traumatic events by becoming an escape from reality. But there are benefits. Fantasy engagement in children is associated with increased creative imagination, narrative ability, and perspective taking. For adults, it may help improve memory consolidation, creative problem-solving and planning. This is also an ability you can boost. Research shows that children who were encouraged by their parents to participate in pretence play and role playing have higher levels of fantasy proneness later in life. And it's never too late to start – amateur actors are known to have higher fantastical imagination too. "Episodic imagination" is similar to fantastical imagination but predominantly makes use of real (episodic) memory details rather than imaginary (semantic) details when visualising events in our mind's eye. This helps individuals to better imagine alternative pasts and learn from their mistakes, or imagine their futures and prepare for them. The little research that has been done on this so far indicates that individuals with a higher capacity for visual imagery experience more sensory details when imagining their future. Moreover, though years of self-improvement books suggest to "imagine it and it will happen", this is actually the opposite of what you should be doing. The best preparation for the future is paradoxically to imagine the process – not the outcome – of your desired future event. One study showed that when students imagined desired outcomes (good grades for an upcoming test) they performed significantly worse than students who imagined the process getting to the desired outcomes (imagining studying thoroughly). Perhaps something to keep in mind for your New Year's resolutions? We all have imaginative ability to various degrees, and it's difficult to imagine where humankind would be without it. So even though you are yet to actually write that novel you've got in you somewhere, keep trying. There are many routes to boost creativity, with play, practice, and experience being crucial. It may even make you smarter. As Einstein himself reportedly once said: "The true sign of intelligence is not knowledge but imagination."